Patio doors are large sliding doors made of glass that open out into a patio, garden, or balcony. These are also called sliding glass doors and work by moving horizontally, with one stationary panel with a movable panel. 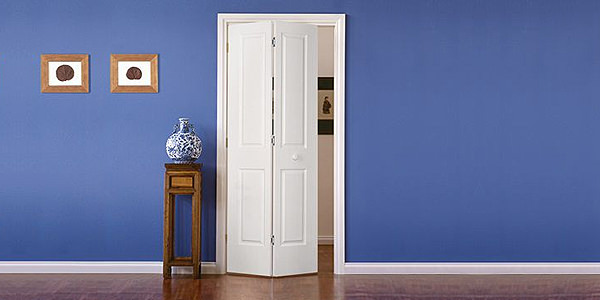 Thus, these doors take up much lesser space compared to traditional hinged doors. Bring your outdoors inside with stunning Folding & Sliding Patio Doors available at Buildworld. These come to you in a wide variety of sizes to match variable requirements. Made from top notch materials such as Oak Veneer, White Painted or Solid Oak; we assist in measuring the door size you need. Room dividers are screens or furniture that divide a large space and allows for maximum use of it. Some room dividers and doors come with intricate carvings and add to the room’s aesthetics. Room dividers differ in nature and can either be permanent or temporary fixtures. At Buildworld, our interior room dividers and folding doors present a simple, stylish and affordable way to divide your room or open your space. 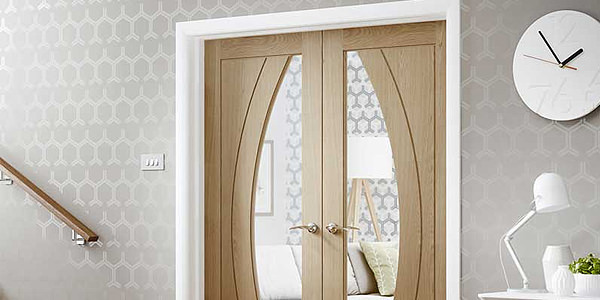 These high quality interior doors come to you in Oak or White finish with glass in clear and frosted and a range of sizes. Our new specification room dividers doors are manufactured from the industry’s leading timber and joinery makers. Our internal folding doors are designed for ease of use within the home or commercial property. New specification includes improved track system for a smoother opening operation. A wider range of styles and sizes and better value allows you to have the new specification at a better price. All folding door sets include matching frames to get the perfect look. Our Interior Bi-fold doors set the standard for style, function, and performance. With high quality rolling hardware and robust panel and frame designs, these doors provide effortless operation. Available in a multitude of colours to match your style and taste, these are ideally suited for maximising spaces in kitchens and small bedrooms. Finishes include oak, white and pine. Perfect for wardrobe doors and similar home projects. Made only from top quality raw materials for durability and strength, these are made by Jeld-Wen, one of the most reputed brands in the UK. Log on to our site to available the best rates for all the above products.